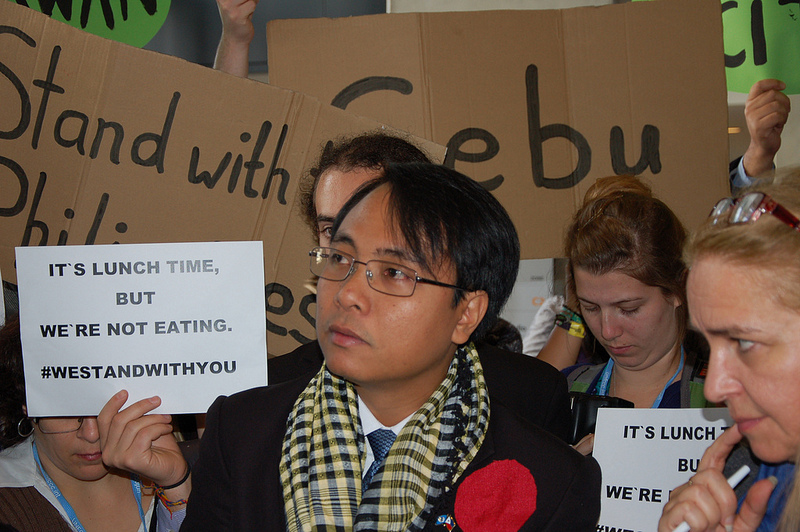 Yeb Saño, leader of the Philippines delegation at the United Nations Summit on Climate Change in Poland (COP19), has decided to stop eating until he sees real solutions from negotiators at the summit. He wants the process to bring “climate justice to the poorest countries,” and links Typhoon Haiyan, which has left more than 4,000 people dead and 4 million displaced, to climate change. But the fast for the climate has gone beyond Twitter and reached the blogosphere. I’m ashamed of my government because they laughed when Russel Norman of the Green Party of Aotearoa New Zealand linked Typhoon Haiyan to climate change. They laughed. They mocked him. They yelled “shame”. Let me say that again: when Yeb Saño was quoted in the New Zealand Parliament, people laughed. The worst typhoon ever recorded hit last weekend. It killed over 10,000 people. 478,000 people have been displaced. 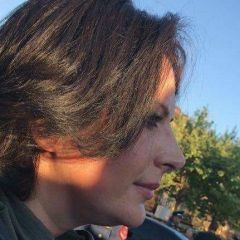 Real, human, people, with families and children and lives and loves. Philippine lead negotiator Yeb Saño is one such real person, and he pledged to fast until a deal was done for all our futures. And my elected leaders laughed. No one here in Warsaw is laughing. In fact, 30 or more people are joining Yeb in his fast. I think about my Mom and Dad and little sister, my hometown, the people of Visayas especially Tacloban and Panay. How much more suffering do the leaders of the world need to behold before they finally realize that addressing Loss and Damage is about survival, dignity, and justice? During the summit, hundreds of politicians discuss ways – and ideally reach agreements – on how their countries can act to prevent climate change from causing more extreme weather events. But every country has its own interests, so reaching an agreement is a slow process that takes more time than is always expected. There are two days left before climate talks are over in Poland, and Saño is still fasting. He also started an online campaign to pressure governments to take real action at the summit. Saño wants “a new mechanism under the UN Convention on Climate Change that allows poorer nations to reduce losses related to climate change”. At the UN process, developed countries are assumed to be largely responsible for the effects of climate change due to the large amounts of carbon that they emit year after year. The results of these talks will be key for the success of ongoing negotiations in the next summit, which will take place in Lima, Peru, in 2014.